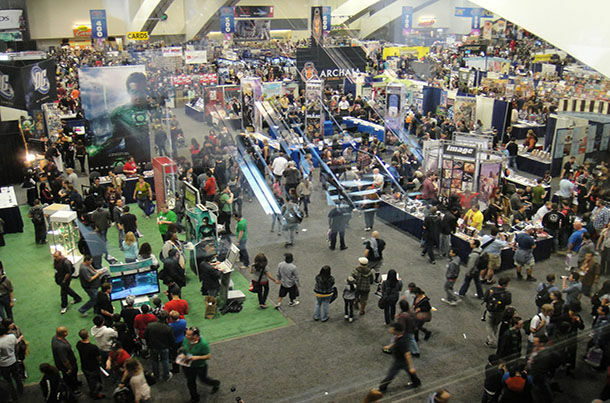 These mistakes risk your trade show or exhibition attendance being a big business success. Read and learn what to avoid during a show. Trade shows and exhibitions are still one of the most appreciated medium while conducting business. Every year a large number of trade shows and exhibitions are being held and these present both the visitors and attendees an excessive amount of opportunities. The type of opportunities that cannot be gathered while sitting in front of your computer in the office and reply e-mails all the time. Getting in touch with your possible customers, having a chance to explain your product and yourself as well with catching up to what has been going on in your related sector are only a couple of these opportunities. Although there seems to be many trade show in different parts of the world, of course it is not possible to attend all of them. And when you make up your mind to attend one, would risk the chance of benefitting from the trade show to its maximum? We know you wouldn’t. A couple of weeks ago, I wrote a post on Things that Will Boost Your Trade Show Booth’s Visitor Number. In that, I tried to give some tips on the ways to increase your visitor flow during the trade show you are going to attend. In addition, Sezin has also published a piece titled How to Get the Most out of Your Trade Show Experience. In these two, there are some really useful tips, tactics and recommendations you may want to keep in mind to exhilarate your trade show success. However, it is not only about tips to succeed at a trade show or an exhibition. When was the last time you went over your conducting business skills and habits? Are you sure the things you have been stuck to are still working? Do the visitors still favor what you have been doing to gather attention during the trade show or exhibition? Or are they all old fashioned? Let’s consider the worse, might your trade show or exhibition tactics may actually be the mistakes to avoid? In order to answer this question, I have listed some of the most common trade show mistakes to avoid. Read on to discover if you have been counting on any of them and if so, look for the ways to change them as soon as possible. I can hear you saying ‘what? !’ Let me explain. I have already mentioned the redundancy of the trade shows and exhibitions focusing on the same industry. Although some of them may be fall into the same group in terms of the area of business, they may have slight differences which may make a big difference on your participation and its results. Make sure you analyze the trade show or exhibition you are going to attend, see the exhibitor list, read the ‘who should attend?’ part in detail and don’t hesitate to get in touch with the organizers if you think there are things to make clear before you register. Putting a lot of energy to get ready for the trade show or exhibition you’ll attend is one thing you must do prior to the show. This must be done simultaneously with letting people; the visitors and the competitors, know that you’ll be there. You cannot risk being noticed just by chance while there. In addition, there may be people or companies who would attend the show specially to find more about your company. Despite the amount of technology integrated in trade show booths, the displays are still our old friend for good. They are the window of your booth; and this means they are the first thing the visitors see. You have to make sure the sizing on the displays are up to date, the design doesn’t remind people of 90’s. In addition, in order to save 200 hundred or 2000 dollars, don’t risk spending the whole trade show without visitors; think the show as an investment. An investment that is going to bring you a lot more than you have spent if you know how to play it by its rules. Remember how the saying goes; Throw out a sprat to catch a mackerel. You make a lot of things just to make the visitors come to your booth. You have to realize it is a onetime shot if they come and want to get more information about your product or business. You simply cannot miss it. You have to make sure the people you choose to talk with the visitors are the right ones. They have to be the people who know what you and your company does, believe in the work and actually want to promote your service. Their communication skills come under the spotlight then; they must be kind and sincere while having the ability to keep the distance. Trade shows and exhibitions seem to be here to stay but we cannot say the same thing for the companies that refuse to look for the ways of integrating the new methods that includes technology to their tradeshow strategy. Every part of the trade show can now be updated with the technological improvements; the displays, the ways to store the visitors’ contact information, the promotion of your attendance during the trade show or exhibition are only few of these. You cannot take the chance to fall behind of your competitors just because you didn’t go with the modernity. Among all of the mistakes I have listed here this one can be summarized with only one sentence; one cannot simply attend a trade show or an exhibition without having a plan b. You must always carry the question ‘what if’ in your mind, analyze the possible outcomes and be prepared for them. Business crisis happen. Business crisis before, during and after a trade shows or exhibitions do happen, too. In order not to waste all the energy, time and money you have put into attending the show in vain, you have to know what to do if things don’t go as the way you thought they’d. Candy Adams has a piece on Exhibitor Online, titled 10 Trade Show Disasters and she not only lists 10 of the most common unfortunate things that may happen during a trade show, but also offers some wise suggestions that may work as plan b.